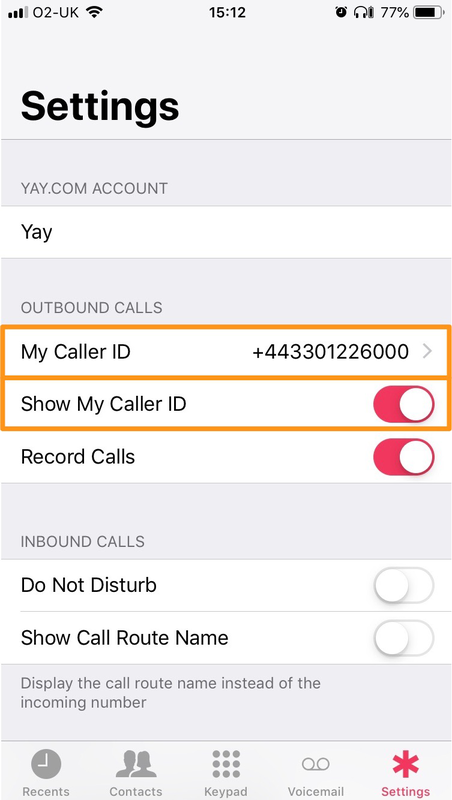 Home > VoIP Support FAQ > Yay.com App > How can I change my Caller ID on the Yay.com apps? 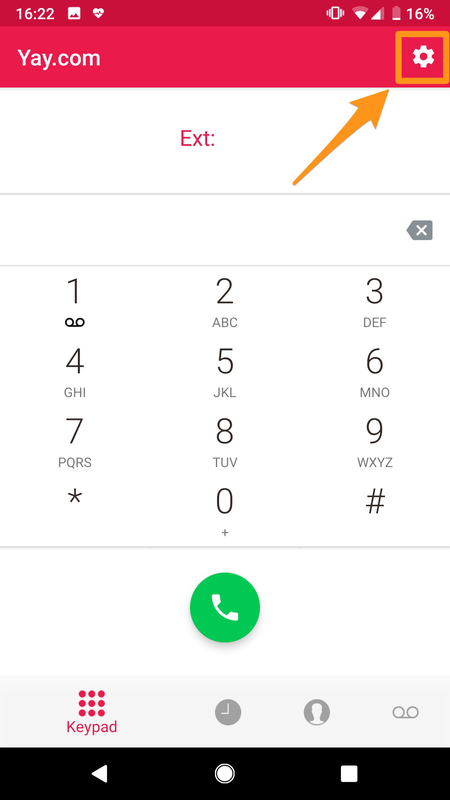 How can I change my Caller ID on the Yay.com apps? Changing your caller ID on the Yay.com app is nice and simple, it’s all done in the settings page! To access the settings menu, simply click on the star icon in the bottom right on iOS, or the cog in the top right on Android. The 'My Caller ID' option allows you to select which number the person your calling will see, you can select this option and choose from one of the caller ID’s you may have on the account! The number nickname is also shown alongside. 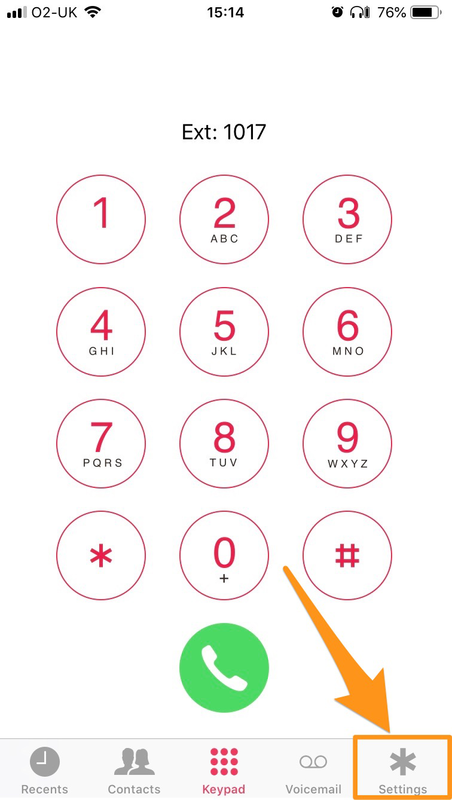 Just below the 'My Caller ID' option, you can see an option called 'Show my Caller ID' - if this is disabled, your calls will appear as Anonymous instead! 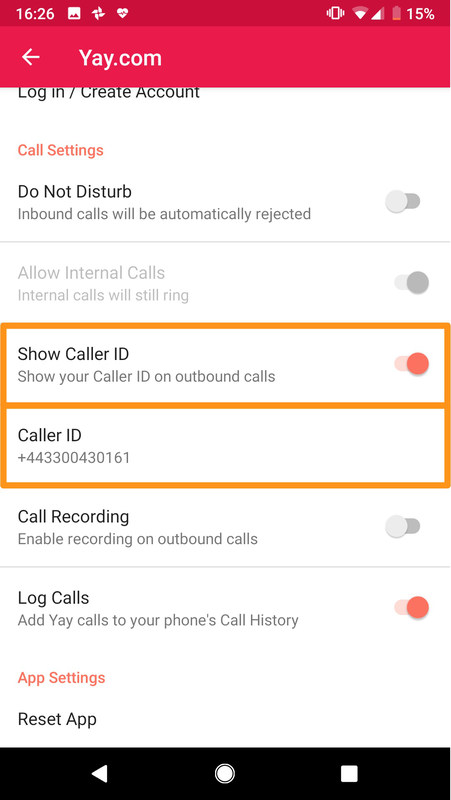 When enabled your calls will show as the Caller ID selected next to it.